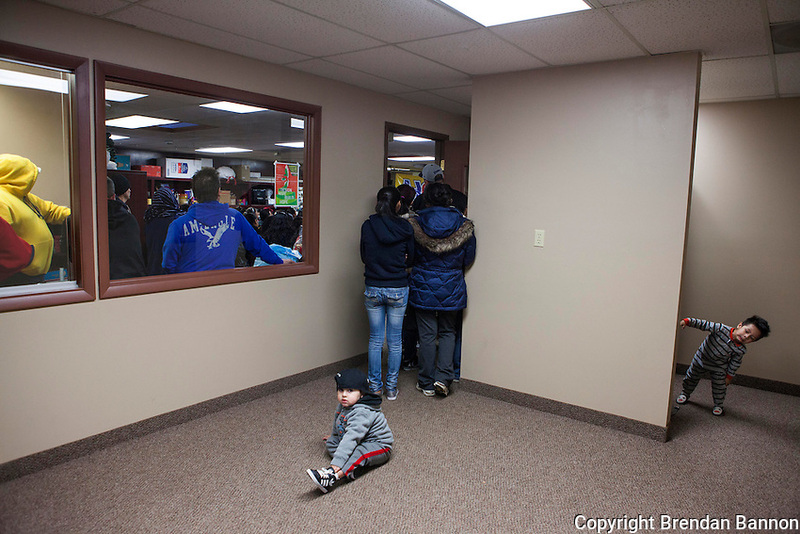 Children, many of whom are American citizens overflow a crowded room at an HOLA meeting in Painesville, Ohio. Hola meets weekly and people share deportation stories and inform other community members of thier ongoing immigration struggles. Thier children also come to the meetings at LifeSpring HUB Christian Church. The youngest partcipate in activities in an adjacent storefront. March 25, 2014. Photo by Brendan Bannon.